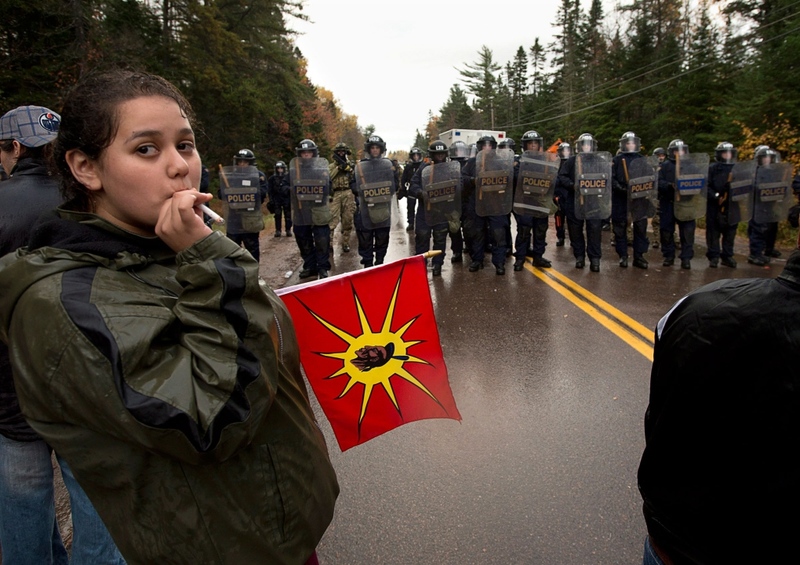 Mi’kmaq face RCMP riot cops on Oct 17, 2013, near Elsipogtog, NB. MONTREAL — Federal officials closely tracked the fallout of an RCMP raid on a First Nations protest against shale-gas exploration in New Brunswick, at one point raising concerns it could spawn another countrywide movement like Idle No More. Documents obtained under access-to-information legislation reveal a lengthy email chain last fall monitoring events related to a blockade near Rexton, N.B., about 70 kilometres north of Moncton. 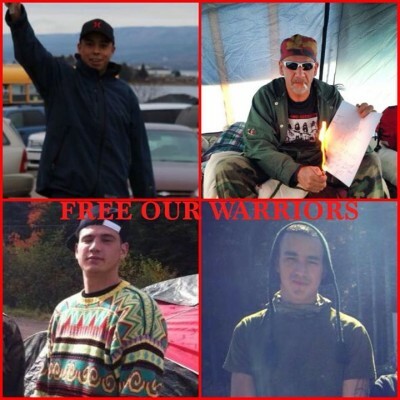 Moncton, New Brunswick – Today was the first day of the week long trial of Mi’kmaq Warriors Germaine ‘Junior’ Breau and Aaron Francis. This morning we learned that Breau and Francis had pleaded guilty to a variety of charges stemming from several different arraignments. 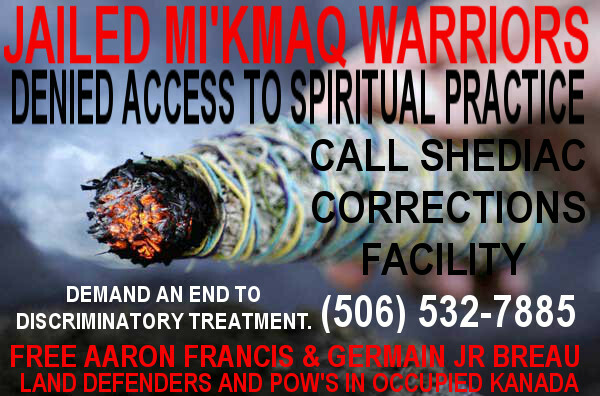 Mi’kmaq warrior Coady Stevens (with raised fist). A 21-year-old New Brunswick man now faces 19 criminal charges in connection with his actions during an anti-shale gas protest clash with RCMP on Oct. 17 in Kent County. 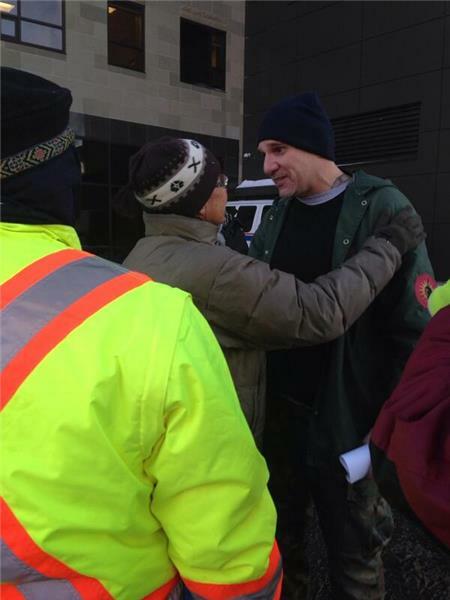 James Pictou on his release from jail Dec 17, imprisoned since Oct 17, 2013. 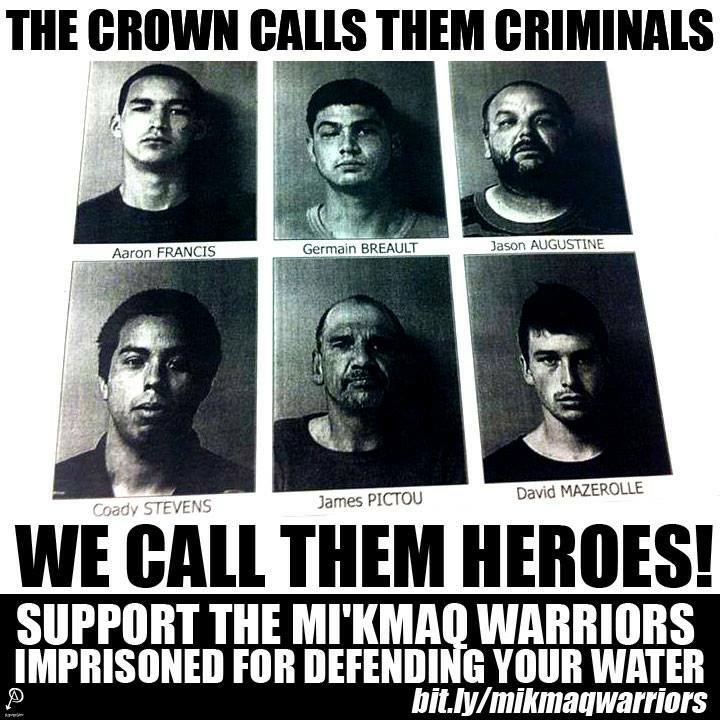 James Pictou, one of the Mi’kmaq warriors arrested during the October 17, 2013, assault by RCMP against anti-fracking blockade in Mi’kmaq territory (in New Brunswick) has been sentenced and released from jail.